After a few months, it’s possible that this hyperexcitability becomes too much for the cell to handle and it crashes into a less excitable state. That could signal the shift between the depression and mania that patients experience. So the “knowledge is power” thing. Can sure come off cliche; however, when it comes to what ails us, there’s really a lot to it. Man, I was hurting badly all those years ago. And one of my cherished comforts was gaining insight into the biological reasons behind it all. It assured me I wasn’t suffering from some sort of cruelly nebulous plague. Yeah, that was always a relief. So, how ’bout we see what we can do about understanding a bit of what’s behind bipolar disorder – and pave the way for some comfort and relief, should you be in the grasp? So a new study from a Salk Institute for Biological Studies research team is one of the first to reveal the connection between bipolar disorder and neurons in the brain, and that brain cells of those with bipolar disorder are much more sensitive to stimuli than the brain cells of others. But the study did more than that, revealing why some patients respond to lithium, while others don’t. The study results were published last month in the journal Nature. Researchers hadn’t all agreed that there was a cellular cause to bipolar disorder. So our study is important validation that the cells of these patients really are different. If you have any experience at all with bipolar disorder, you know it can be a treatment nightmare. I mean, it’s a meds crap-shoot featuring lithium, atypical antipsychotics, antidepressants, and anticonvulsants. Well, in endeavoring to get to the very foundation of the cause(s) of bipolar disorder, Gage and team collected skin cells from six patients with the disorder. And they moved-on to reprogramming the cells to become stem cells, and coaxed them to develop into neurons. And then it was on to comparing those neurons to those of folk who had never been diagnosed with bipolar disorder. 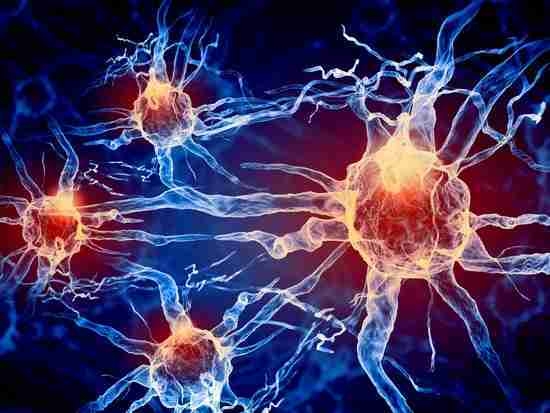 Neurons are normally activated by a stimuli and respond. The cells we have from all six patients are much more sensitive in that you don’t need to activate them very strongly to see a response. And, by the way, the power-supplying mitochondria inside the cells were more active, as well. Of the six study patients, three had responded well to lithium. It did nothing for the remaining three patients. So now it was about determining how the patient’s cells actually reacted to lithium. To do this, the study team let some of the neurons grow in liquid containing lithium and re-measured how sensitive the cells were. Go figure, though neurons from both groups sure seemed identical (and equally sensitive) in the initial tests, they behaved differently when exposed to the lithium. Seems the cells from the lithium-responding patients showed weakened excitability after growing in the lithium. And it follows, then, that the cells from the patients who hadn’t been helped by lithium remained hyperexcitable. The stem cell-derived neurons were three to four times more electrically active than control cells and tended to burn themselves out. This was reversed by treatment with lithium, but only in cells that came from patients who had responded to lithium. Now, sure, the study findings don’t explain why lithium works for some patients and not for others. However, it offers a great starting-point in determining differences between cells. And, certainly, the bipolar neurons also create a platform from which more in-depth bipolar disorder questions can be asked (and answered?). Now that we have neurons that show differences in excitability, we can use these to screen for better drugs. If a new drug, for instance, reverses the hyperexcitability at the cellular level, it would likely treat bipolar disorder in patients. Next, Gage and Martens plan to follow the affected cells for longer periods of time to see whether the hyperexcitability they measured is only an initial manic stage of neurons’ lives, or is longer-lasting. Wow! Now we’re talking holy grail. If you endure bipolar disorder, is this knowledge powerful for you? Yes, I know it doesn’t provide immediate symptom relief or help you avoid the meds crap-shoot. But it does provide a plausible explanation as to why bipolarity occurs, and it’s not some sort of cruelly nebulous plague. I can attest to just how comforting that can be. And you know what else? Knowing research like this is being conducted fuels hope. Would you like to peruse more Chipur mood and anxiety disorder titles? Please do. Previous Post: The Benzodiazepine Dilemma: Man, I thought long and hard about posting this.